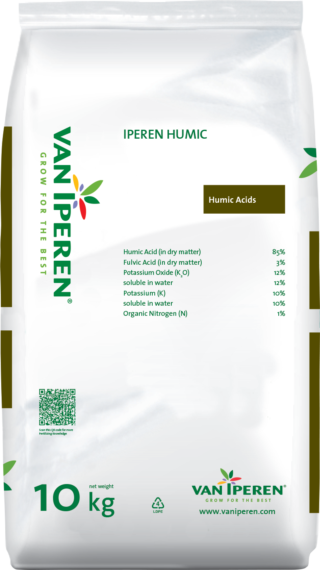 Iperen Humic 12 + 3 Liquid is a pure and highly concentrated source of Potassium Humate processed from leonardite via a unique extraction method. Our product is the most efficient source of Potassium Humate and has prominent abilities in regard to CEC, buffering, chelation and complexation. 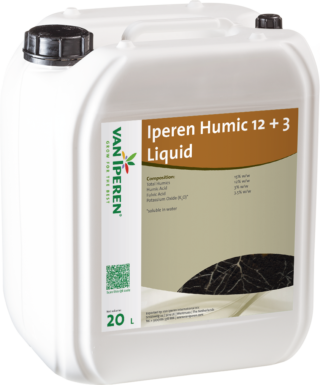 Iperen Humic 12 + 3 Liquid is recommended in poor soil conditions or when Phosphate application is restricted. 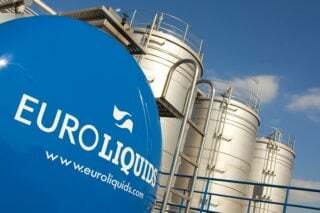 The presence of active leonardite (long chain) in our formula has a positive effect on the uptake of Phosphate and micronutrients. 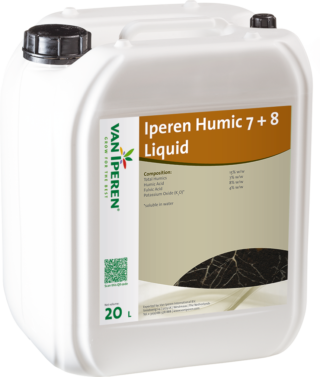 Furthermore, it increases Nutrient Use Efficiency (NUE) and reduces leaching.